Get highly accurate measurements using the CS-2000A spectroradiometer. The device has the capacity to measure luminances with ranges that reach down to 0.0005 cd/m2. It can also contrast measurements at ranges that reach 1,000,000:1*4. 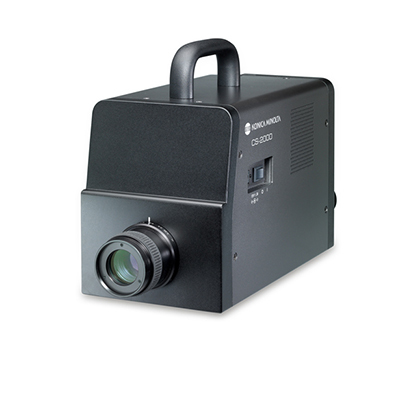 You can use the CS-2000A with a variety of displays and light sources. Using technology that lowers sensor signal noise, the CS-2000A spectroradiometer produces highly accurate extremely low luminance measurements. Luminances with contracts ranges of 1,000,000:1 and ranges as low as 0.0005 cd/m2 are accurately measured with the instrument due to its 1° measurement angle. Throughout the measurement process, the instrument has the capacity to maintain less than 5nm half bandwidth. 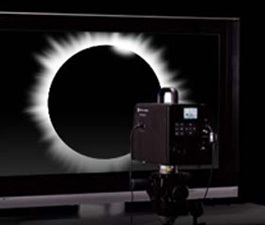 Software included with the CS-2000A spectroradiometer is the CS-S10W. This Professional Data Management software allows you to obtain very accurate readings and management of the device. The software enables you to get acceptance judgments for dominant wavelengths when measuring light sources. The measurement angle on the CS-2000A highlights a switching function so you can choose specific measurement angles that range from 0.1°, 0.2°, or 1° using a variety of applications. Standard minimum measuring diameter with the CS-2000A is 0.5mm. Available accessories include a close-up lens. This optional accessory has the ability to measure areas that are as small as 0.1mm. Luminosity and chromaticity are stable. General displays are produced quickly using the device whether measuring large or ultra-small ranges like audio systems, aircraft instrument panels or automotive instrument panels. Other options for the CS-2000A spectroradiometer include the ability to attach a diffuser adapter to measure illuminance of irradiated light. You can also use the diffuser adapter to conduct spectroscopic calculations. Measurement time Approx. 2 to 243 sec. ∗ Specifications and appearance subject to change without notice.